Apple’s iPhone 6 comes with a resolution of 750 x 1334 pixels and the iPhone 6 Plus comes with a resolution of 1920 x 1080 pixels, the LG G4 has a resolution of 2560 x 1440 pixels. 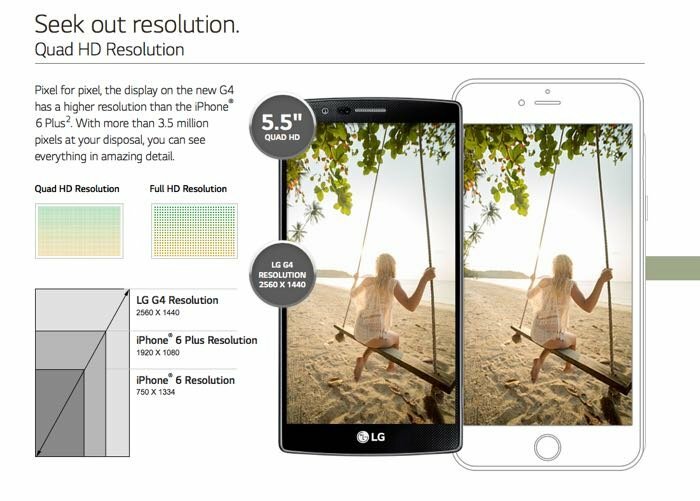 LG has listed the iPhone 6 and iPhone 6 resolution on their website, comparing it to the resolution of their new LG G4 smartphone and the company says that the new G4 has a total of 3.5 million pixels. As well as a QHD display the new LG G4 is also powered by a six core Qualcomm Snapdragon 808 processor and the device comes with 3GB of RAM and 32GB of included storage. The handset also has a microSD card slot which can support up to 128GB card and the device features front and rear facing cameras. On the front of the LG G4 is an 8 megapixel camera for Selfies and video calls, on the back of the handset there is a 16 megapixel camera with a f/1.8 lens, the device comes with Android Lollipop. 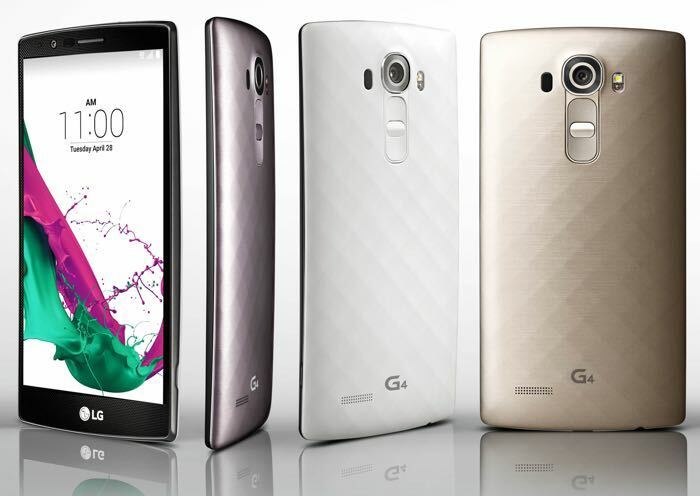 Have a look at our guide on the LG G5 vs LG G4, for full details on LG’s latest smartphone.